The Pois Moi collection from Roberto Coin goes all out with this diamond pendant necklace. 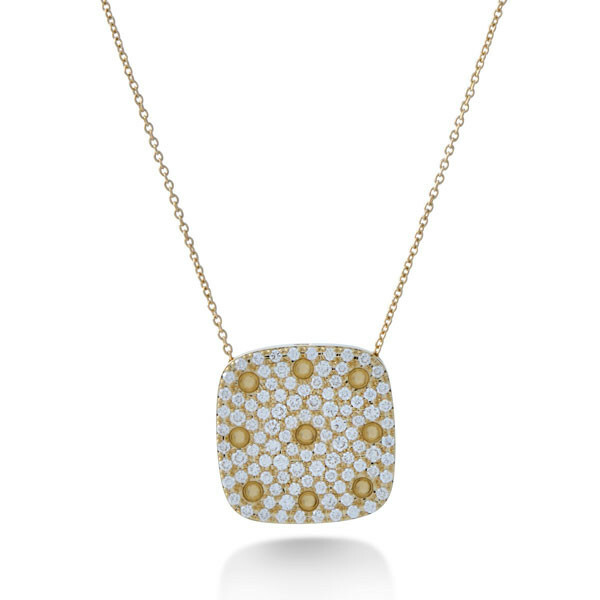 A square of 18kt yellow gold is molded with rounded corners, and the surface is symmetrically dimpled and adorned with glimmering white diamonds. This chic piece dangles elegantly from an adjustable link chain. 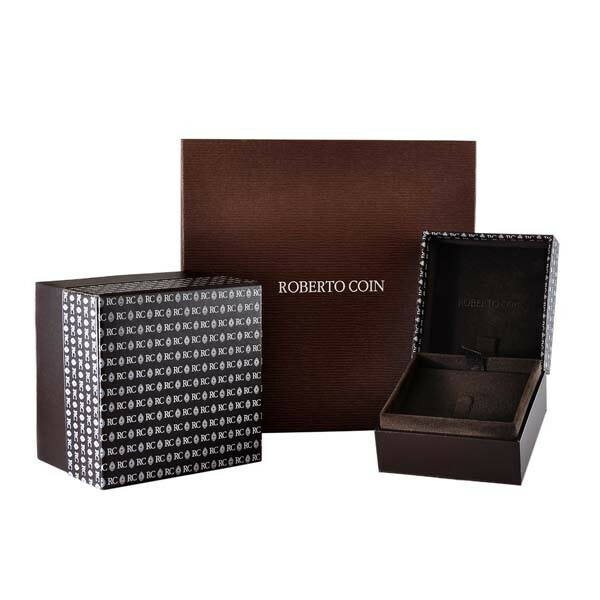 Add a pair of Pois Moi earrings or a stunning bracelet to complete a modern Roberto Coin ensemble!